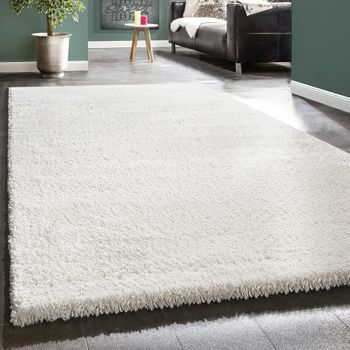 This white shaggy rug with its shimmering fibres is reminiscent of a glittering blanket of snow  only much warmer and cosier! 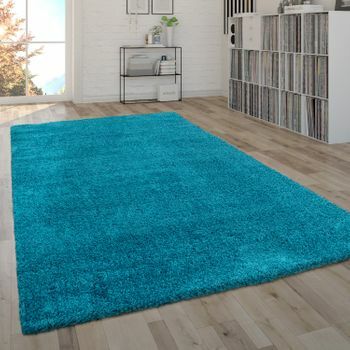 The radiant colour is very robust and resistant thanks to the durable polyester material. 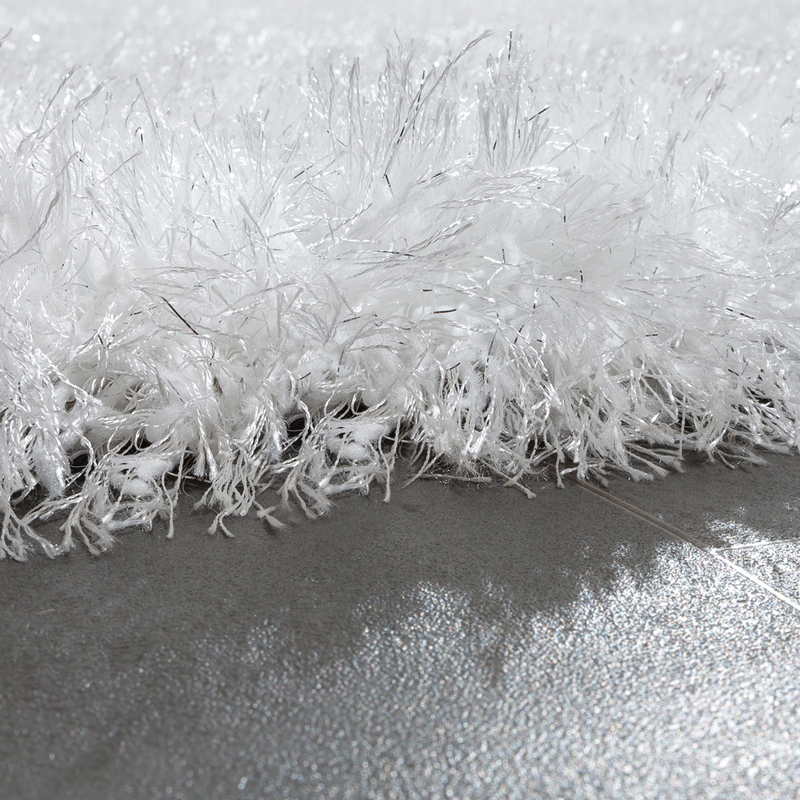 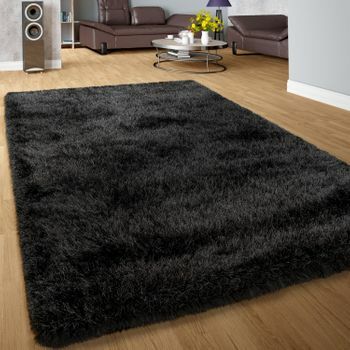 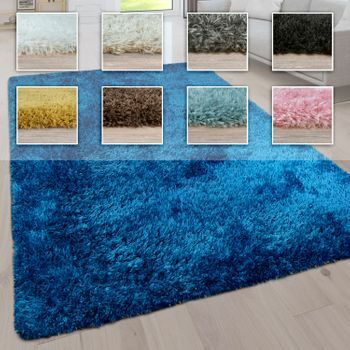 The deep-pile rug has also been certified in accordance with the Oeko-Tex Standard 100 Standard. 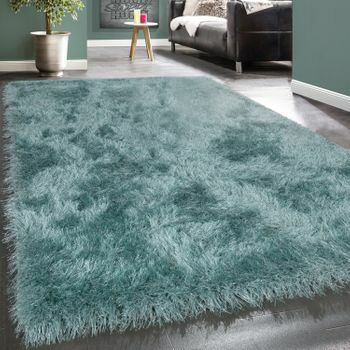 Be enchanted by the fluffy surface and bring the unique combination of modern style and a timeless colour scheme into your home. 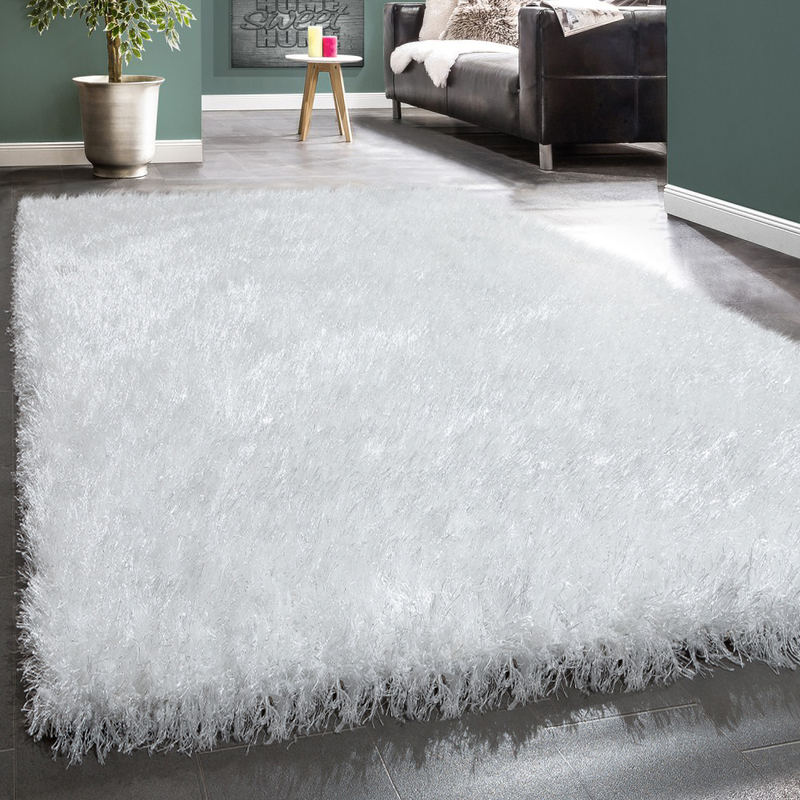 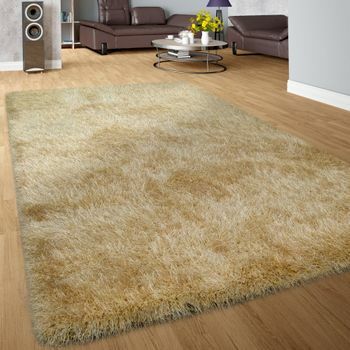 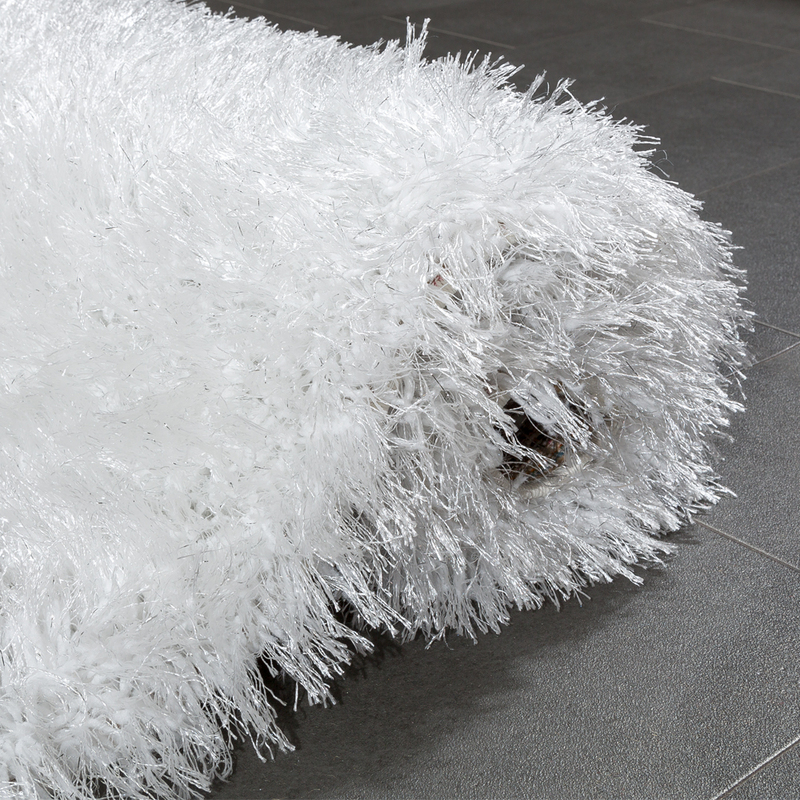 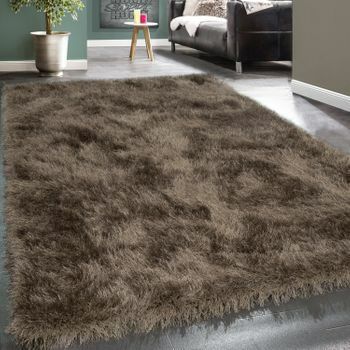 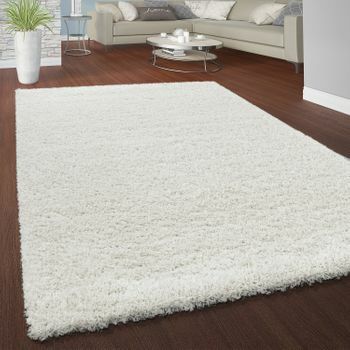 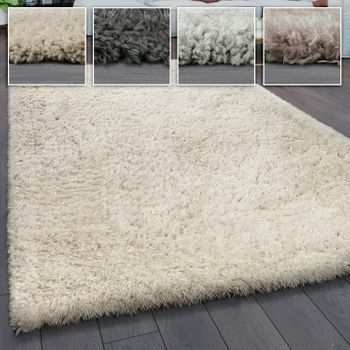 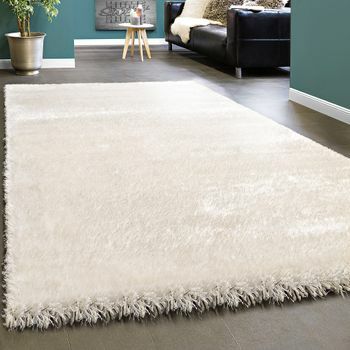 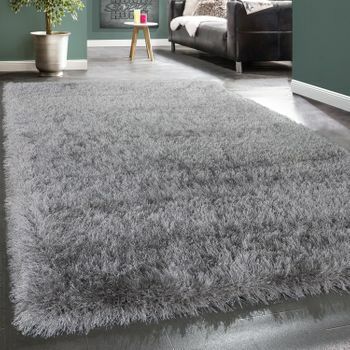 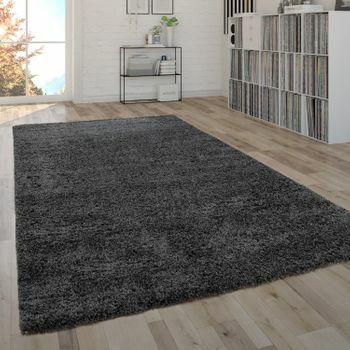 Our tip: the cuddly shaggy rug looks particularly elegant in shimmering white and makes a chic eye-catcher on your floor. 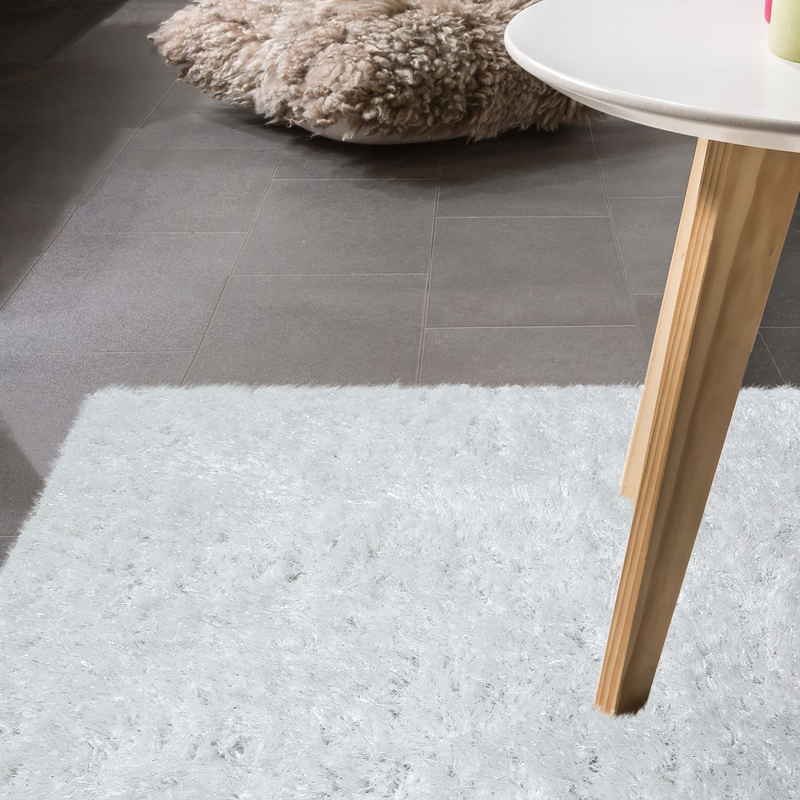 The model harmonises in a particularly attractive way with grey tiles or grey-tinged woods. 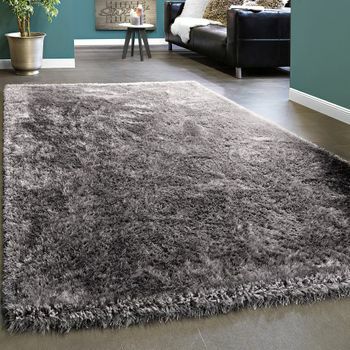 You can accentuate the high-quality look with fine decorative elements made from silver stainless steel or chrome. 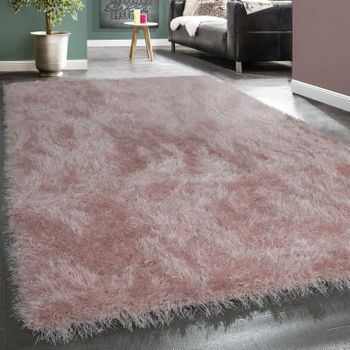 If you like a more pretty style, combine the plain rug with soft pastel shades.